While I will continue to bring you my writing, ideas and photography through my Instagram and Patheos blog, I have now launched a Patreon page to support a series of Interactive Online Workshops focused on place-based spirituality. Check it out, and I hope you can support my work and participate in future workshops! Since walking the Camino de Santiago, I have been toying with the idea of expanding Holyscapes into something more. I have shuffled around a few things on the website, and updated my BIO and Project description. I will now direct all blog post traffic to the Patheos page as well. But most importantly I am working on launching a Patreon Page so that I can start raising money for Interactive Online Holyscapes Workshops! Stay tuned! I recently did an interview with three Zoroastrians who live here in Vancouver. As I was preparing for the interview, I learned the fascinating history of the death rituals practiced by ancient and some modern Zoroastrian communities. 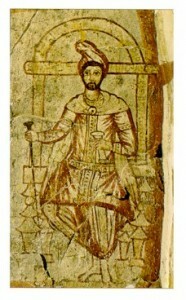 Briefly, Zoroastrians are followers of the teachings of the prophet Zarathustra, or Zoroaster in Greek, who is thought to have lived some time between 1,500 and 650 BCE. They are probably the first monotheistic religions with a great reverence for the elements, especially fire, which is a kind of incarnation of wisdom. However, because of a dualistic cosmology, with the forces of good and evil forever at odds, dead bodies are believed to be quickly tainted by evil spirits. Because the elements are holy, death must be dealt with in such a way that the elements are not tainted by the corpse. This means no burial, no cremation, or setting out to sea. Traditionally then, Zoroastrians have conducted what is often referred to as ‘sky burial.’ The corpse is taken to a place called a Tower of Silence, where carrion eaters such as vultures devour the corpse. The technical term for this is excarnation, and it is also practiced by certain sects of Tibetan Buddhism, and in Mongolia, Bhutan, and Nepal. 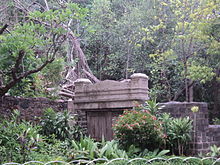 One particular case that drew my attention, was the Zoroastrian community in Mumbai, whose Tower of Silence called the Doongerwadi, is surrounded by 54 acres of unmanaged forest, creating a small oasis. The Tower was built in the late 1600s, but is located in what is now an upper middle class neighborhood. However, in the 1990s, the vulture population, which traditionally devoured the corpses in short order, collapsed due to the use of a drug administered to cattle, which was then ingested by the birds who had eaten the remains of treated cows. In some places, the vulture population was decreased by 99%. This decrease in the vulture population, has meant that there are not enough birds to properly decompose the corpses of Mumbai’s Zoroastrian community, and there are worries about the public health implications of half decomposed corpses sitting around, even with the forest buffer. In response, Zoroastrian activists have begun experimenting. There is a vulture breeding program in the works that is having some success, but others have began experimenting with solar concentrators which direct the suns heat onto the decomposing corpses which dries them out and speeds up decomposition time.